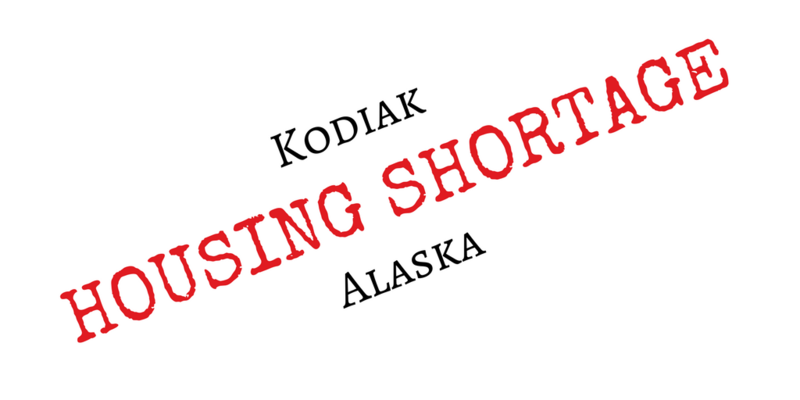 Over the last 10 years, since I have been a real estate professional in the Kodiak market, it has been my observation that Kodiak housing has generally been in short supply. Yes there have been plenty of occasions where homes sat on the market and took longer than usual to sell or rental units sat vacant awaiting a qualified tenant. In my experience, usually the delay was directly related to price, condition and/or amenities or the lack thereof. But mostly price. Although our community has experienced the closure of a large apartment complex and extended stay motel downtown as well as closure of a large mobile home park over the last few years, some rental units still remain vacant. I believe that is because the supply of rental units has not met the particular needs of the tenants seeking housing and those potential tenants have sought alternative sources of housing such as living with family members, sharing housing, renting rooms or moving off island. Rental rates had recently enjoyed a generous uptick in the rental market over the last several years, but just like most things, what goes up must eventually come down. There seems to be plenty of people currently looking for rental housing but they seem to be carefully weighing their options and holding out for the best possible situation at the best possible price. Who can blame them, right?! Many buyers are willing to pay a fair price for housing but the rate of affordability changes like the tide, pushing some buyers toward renting instead. Lately I’ve noticed that average home sale prices have pushed up while average rental rates have declined. The last couple of years have produced low home inventory while buyer numbers remain high. The reason for low inventory is not easy to pinpoint, but lack of new construction as well as owners staying in their homes longer or renting them out instead of selling when they relocate may lend some insight. This low inventory has resulted in what we call a “sellers’ market” with frequent multiple offer situations and low average days on the market. Market segments that have not benefited from these results have typically been homes that need extensive cosmetic or structural repairs and homes on the market priced above half-million dollars. Sellers, don't let this current "Sellers' Market" trick you into thinking selling your home will be a snap. Allow us to walk you through the process and show you the best way to get your home sold as quickly as possible. Buyers, don't let the low inventory get you down. Call our office to schedule an appointment to get a game plan for finding you the right house at the right price. Allow our experience to assist you with advice you can trust as you navigate the challenges of buying a house on a remote Alaska island.